Saba Khan is a good student, a fierce tennis player and a creature of habit, but her life is destroyed when her family's home is the target of an arson attack. The family are unharmed, but the fire leaves them with nothing. The community at Saba's exclusive Chicago school pull together to help her family by organizing a fundraising auction. Events take a turn for the truly strange when a highly valued work of outsider art is found, donated and stolen in the run up to the auction. 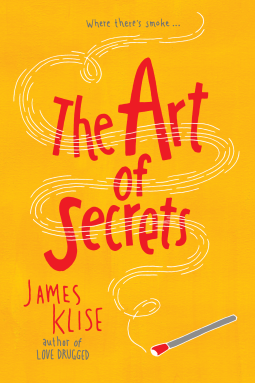 The Art of Secrets is told in the voices of the main protagonists, so we read diary excerpts, emails, text messages and press interviews as we put the story together and assemble the clues. And there are plenty of mysteries to solve here; who burned down the Khan's home. Where did the paintings go? Why is the class president suddenly so interested in Saba? And what is the Principal up to? A clever young adult mystery from the award winning author of Love Drugged. The story is fun with plenty of surprises and an emphasis on the theme of the Outsider, in art, in school and in life.